He was born on October 21, 1790 at Macon France and died on February 28, 1869 at Paris. He was a poet and statesman whose lyrics in Meditations poetiques (1820) established him as one of the key figures in the Romantic movement in French literature. After his education with the Jesuits at Belley, Lamartine wrote verse and travelled, served for several months in Louis XVIII’s bodyguard, and emigrated to Switzerland. In 1820 he was appointed secretary to the embassy at Naples and married an Englishwoman, Maria Ann Birch. In the same year he published his first book of poems, Meditation poetiques, which because of its new romantic tone and sincerity of feeling, was immensely successful. Nouvelles meditations poetiques, Mort de Socrate (1823), and Le Dernier Chant du pelerianage d’ Harold (1825) increased his reputation. 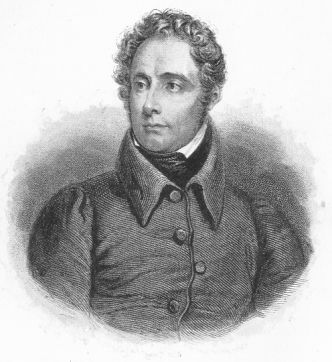 Lamartine was elected to the French Academy in 1829. In the following year he abandoned a diplomatic career, devoting his time to travel and to the composition of a long metaphysical poem, of which Jocelyn (1836) and La Chute d’ un ange (1838) form part. During the next decade, he became increasingly active in politics as a spokesman for the working class. He published historical and political works. After the revolution of 1848, he was, briefly, the effective head of the provisional government. He afterward devoted his life to writing.